Mylan Pharmaceuticals is really feeling the heat. 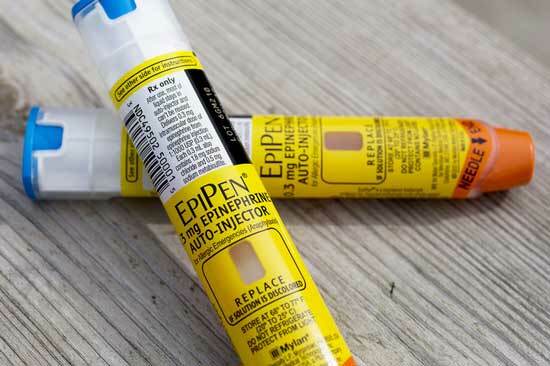 An outpouring of outrage over its exorbitant pricing for EpiPen has caused it to announce plans to offer a generic version of the product for half the $600+ dollars of the branded version. The EpiPen is a self-injecting device used for life-saving rescue of individuals with anaphylaxis, a severe form of allergic reaction. (See my recent article for background.) Mylan joined the new “gouge-em if you can” industry club by buying a old standard drug and jacking up the price to astronomical amounts assuming we patients had no recourse but to raid our kids’ college accounts to pay for it. How broken is a system that has the same company selling the same drug at two vastly different prices in the same country? I guess Mylan assumes it is still acceptable to rip-off patients with health insurance. This face-saving move is yet another confirmation of the hypocrisy of our two-or-more-tiered healthcare system, and the absurdity of our drug pricing non-system. The only way for Mylan to get out of this public relations hole it is digging is to give EpiPen away for free as a public service to anyone who needs it! By coincidence, this morning, and before I learned of Mylan’s crisis management maneuver, I went to my local drugstore to pick up a renewal of my own prescription for thyroxine, one of the most commonly prescribed drugs. The drug has been around forever and in generic versions to boot. It is really cheap. Nonetheless, I was surprised to see the cash register ring up a co-pay of $47 for my three months supply – I had been paying $15 for the 90 days. Had the price of my life-saving drug tripled in only three months? Not at all! Through an artifact of my doctor’s electronic medical record, the renewal automatically sent to the drugstore assumed I would pay for it using my Humana Medicare Part-D drug insurance plan. Little did the computer know that I have been paying out-of-pocket for my thyroxine because it was a lot less expensive to pay in cash. I have no idea what Humana would have paid for a drug that drugstores and supermarkets give away for pennies. I had already lost my confidence that pharmacy benefit managers (PBMs) act in my best interest. In fact, in their earliest days, weren’t they owned or backed by the drug companies themselves? Who can enlighten us on current relationships between the pharmaceutical industry and the third parties that funnel their products to us consumers? Mylan was copying another company’s strategy. After straightening out my own issue (which saved me the price of two Martinis) I asked my friendly personal pharmacist about EpiPen, and specifically if there was an available alternative. As it happens, there was! Amedra Pharmaceutials, the maker of the brand name EpiPen-alternative Adrenaclick; must have authorized the company, Linear Therapeutics, to market a generic version of their product. Mylan was simply following this path! I should note however, that had I wished to pay cash for the product my pharmacist put on the counter, I would have had to pay $494 for a two-pack. I assume this represents another example of shadow-pricing to get a share of the loot. It used to be that generics were much less expensive than their brand name versions. Now they are only less expensive! I do not know if there is a business relationship between Lineage Therapeutics and Amedra Pharmaceuticals, but I will not be surprised to see the length of the shadow shorten to match the $300 price of the promised generic version of EpiPen. I am not impressed. It is my opinion that these companies have no sense of shame in this matter. I suspect that Mylan would have marketed a generic anyway just to keep abreast of its competitor. If there had not been the public outcry that got our elected representatives moving, I believe the prices for these products would be rising rather than falling. They are still too high. I don’t like the way the “free market” works in the healthcare and in particular, the pharmaceutical industries. Surely there is a better way. Previous Previous post: Another Drug Company Rips Off the Public: Mylan’s EpiPen. Next Next post: A Batch of Bad Heroin Arrives in Louisville.